Heart - The site by the People of Heart Radio - Sign Up now. 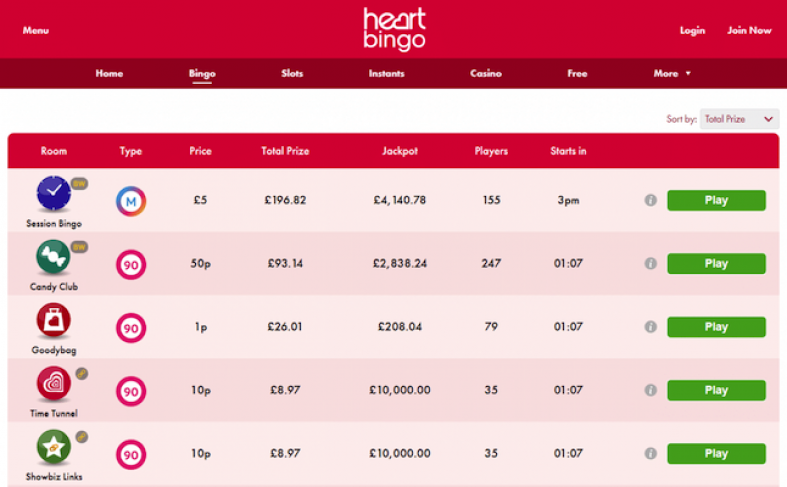 Heart Bingo launched in the year 2010 by people that also run Heart Radio Station. The site is powered by Gamesys software that also powers popular brands such as Jackpotjoy. 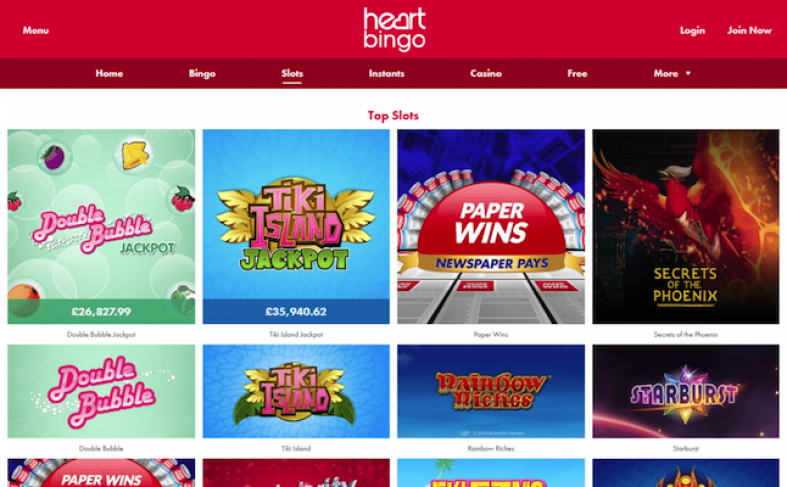 Heart Bingo has been offering 200% first deposit bonus up to £100. That means if you make a deposit of £10 Pounds, there will be £30 bonus to play with. If you are looking for one time deposit – make a deposit of £100 pounds and you will have £300 pounds to play with. In any case, you will have only 200% first deposit bonus. 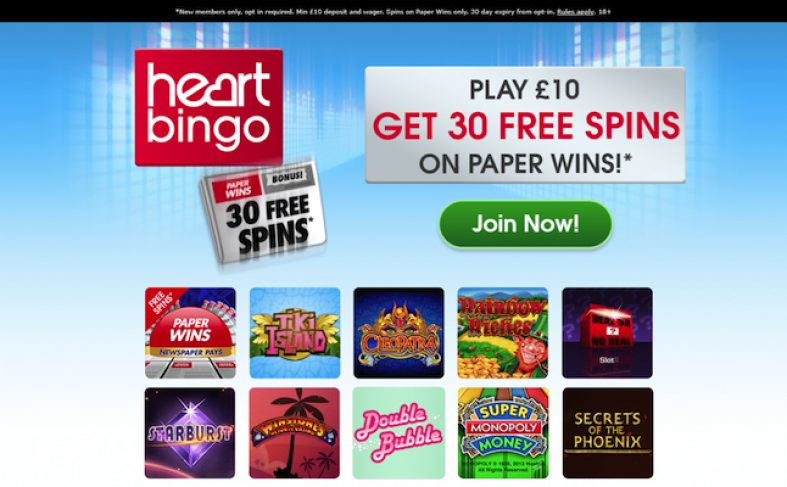 You get £20 free for referring players on heart bingo. All they need to do is create an account – deposit £10 and wager £20. 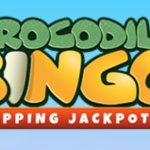 Once they follow this simple process, you will have a free bonus in your bingo account. There are 90, 75 and 80 ball rooms on Heart Bingo. Players can go to 90 ball bingo or select Heart Medley from the Bingo Lobby. The ticket price ranges from 1p, 2p, 5p, 10p and 25p. Select the number of tickets and click on the buy button. Also, you can purchase tickets in bulk by clicking on quick buy option for the upcoming bingo games. Upon returning the games screen – the no. of tickets bought will be shown for the upcoming game. In 80 balls room, you have the option to mark the numbers manually or ‘Auto Dab’ to do it automatically. You can also chat with players, use smileys and change the color of text. 75 balls room is another popular game which is played with cards laid out in 5×5 grid. Players will have to purchase tickets before the game starts. Bingo Caller will announce the numbers that must mark off your cards to complete a particular pattern. Alternatively, players can complete a blackout, which sees all the numbers on your card marked off. The ticket cost in 75 balls room is 75p and you can buy a maximum of 100 tickets per game. A Waltzing Weekend – Win tickets to a TV dancing show and lot more. Happy Holidays – Enjoy a different offer every day. Super Links Week – Over £200,000 in guaranteed full house prize. Bubbly Bonanza – Thousands to be won on Bubble Craze. There are various side games that players can enjoy such as Slots (Double Bubble, Tiki Island, Fortune Temple), Instant games, Jackpot Slots, etc. Visa Debit/Credit, Master Card, Maestro, Ukash (Paysafecard). Deposit £10 get £30 to Play. Brand by Heart Radio People. Powered by award winning Gamesys Software.